Fighting to survive in a ravaged world, a Dweller and a Savage form an unlikely alliance in New York Times bestselling author Veronica Rossi’s “unforgettable dystopian masterpiece” (Examiner.com). Exiled from her home, the enclosed city of Reverie, Aria knows her chances of surviving in the outer wasteland—known as The Death Shop—are slim. Then Aria meets an Outsider named Perry. He’s wild—a savage—and her only hope of staying alive. A hunter for his tribe in a merciless landscape, Perry views Aria as sheltered and fragile—everything he would expect from a Dweller. But he needs Aria’s help too; she alone holds the key to his redemption. In alternating chapters told in Aria’s and Perry’s voices, Under the Never Sky subtly and powerfully captures the evolving relationship between these characters and sweeps readers away to a harsh but often beautiful world. 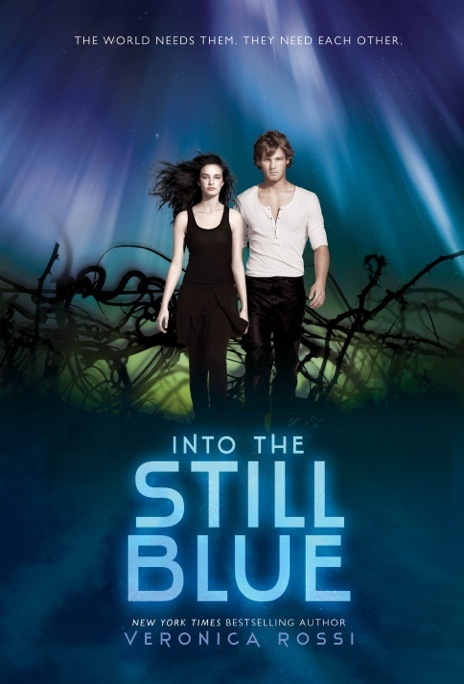 Continuing with Through the Ever Night and concluding with Into the Still Blue, the Under the Never Sky trilogy has already been embraced by readers in twenty-six countries and been optioned for film by Warner Bros.
A world-defying love is put to the ultimate test in the New York Times and USA Today bestselling sequel to Veronica Rossi’s “masterpiece,” Under the Never Sky (Examiner.com ). 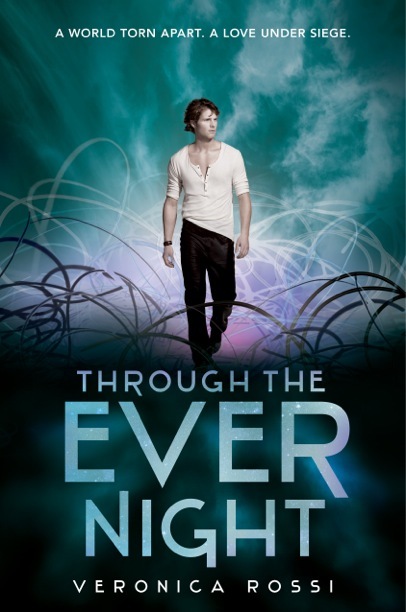 In this second book in her spellbinding Under the Never Sky trilogy, bestselling author Veronica Rossi combines fantasy and dystopian elements to create a love story as perilous as it is unforgettable. 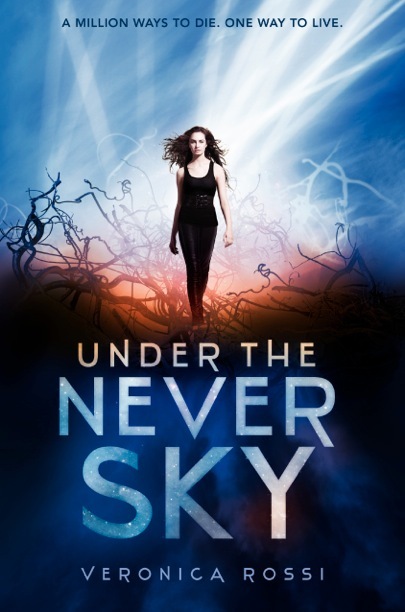 The race for survival comes to a thrilling close in the earth-shattering conclusion to Veronica Rossi’s New York Times bestselling Under the Never Sky trilogy. Their love and their leadership have been tested. Now it’s time for Perry and Aria to unite the Dwellers and the Outsiders in one last desperate attempt to find the fabled Still Blue and bring balance to their world. After a childhood spent wandering the borderlands, Roar finally feels like he has a home with the Tides. His best friend Perry is like a brother to him, and Perry’s sister, Liv, is the love of his life. But Perry and Liv’s unpredictable older brother, Vale, is the Blood Lord of the Tides, and he has never looked kindly on Roar and Liv’s union. Normally, Roar couldn’t care less about Vale’s opinion. But with food running low and conditions worsening every day, Vale’s leadership is more vital—and more brutal—than ever. Desperate to protect his tribe, Vale makes a decision that will shatter the life Roar knew and change the fate of the Tides forever. Set just before the events of Into the Still Blue, the conclusion to Veronica Rossi’s “masterpiece” Under the Never Sky trilogy (Examiner.com), this breathtaking novella is a satisfying stand-alone for new readers as well as an exciting glimpse at favorite characters from the trilogy. Pulsing with romance and danger, Brooke will leave readers desperate for the conclusion to this epic and unforgettable saga. The only fight she can’t win is the one for Perry’s heart. Following the stunning climax in Through the Ever Night, the Tides have been forced to seek shelter from the Aether storms in a dismal, secluded cave. But Brooke’s memories of the cave go back much further, to when she and Perry used to come here together. That was before Perry fell in love with Aria and before Vale’s dealings with the Dwellers altered the course of the Tides forever.